Super-insulated houses for a minimal environmental footprint. Commonland’s units are grouped into small neighborhood clusters, carefully sited to maximize the experience of their natural surroundings - forty-five acres of gently rolling meadows and woods, shared by all the residents. Just minutes away from everything that Ithaca has to offer. 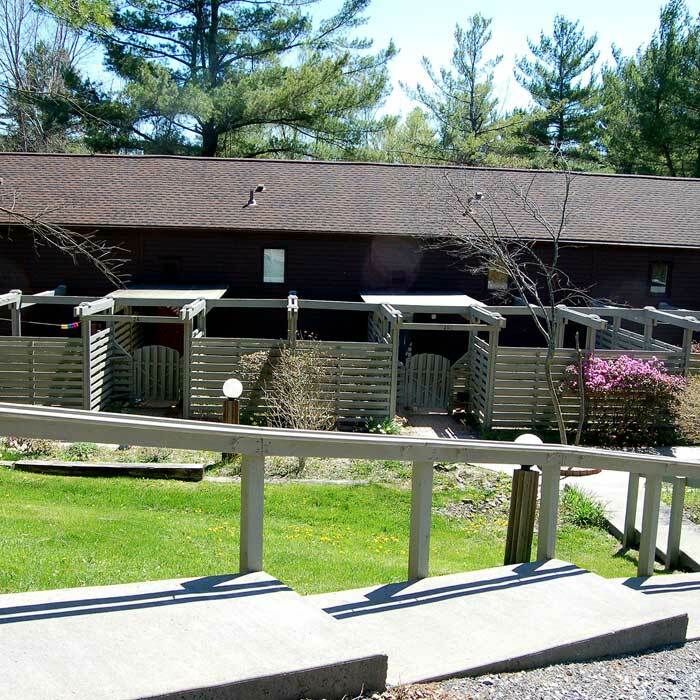 Commonland is conveniently located just two miles to downtown Ithaca, about three miles from Cornell University and Ithaca College, and about four miles from the parks and marina at the south end of Cayuga Lake. Public transit (TCAT) also stops right at our entrance. A professional lifestyle while living right in the heart of Nature. Six Mile Creek Natural Area is, literally, our back yard. Part of the City of Ithaca’s watershed as well as a wildflower preserve, the area abounds in walking trails through woods and by stream. Monthly maintenance fees mean you don't have to worry. Our monthly fees take care of the upkeep of the buildings and grounds so that you don't have to. That's building maintenance, lawn care, snow removal, trash recycling and removal, water and sewage, all taken care of so you can focus on what's important to you. 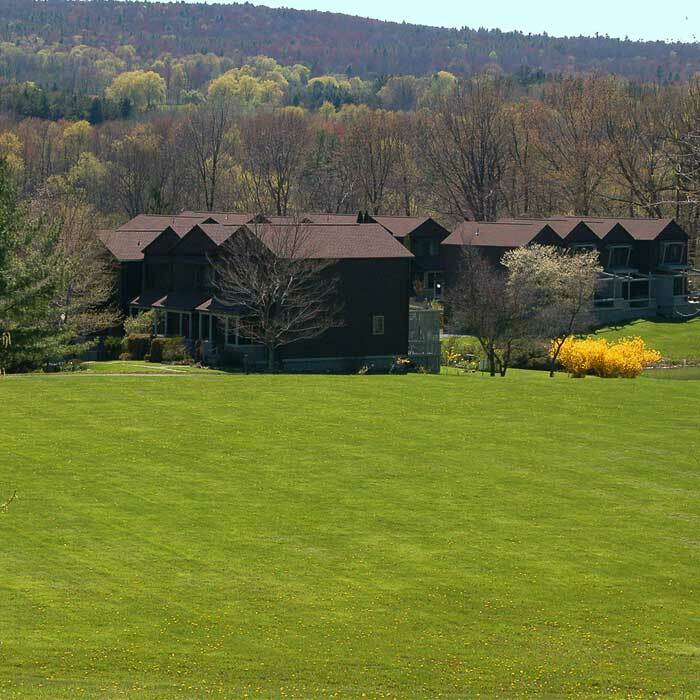 The Commonland Community is a planned unit development (not condominiums) located a mile east of Ithaca in the Finger Lakes region of central New York State. 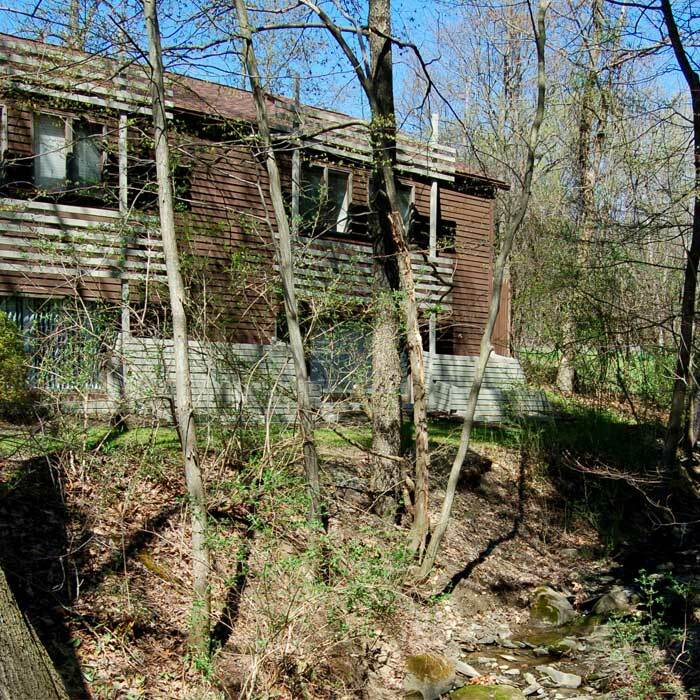 Commonland was built in the 1980s by ecologically-minded Jerry and Claudia Weisburd, whose goal was to create energy-efficient, comfortable, affordable homes in a natural surrounding. Commonland’s units are super-insulated structures with minimal footprints. They are grouped in small clusters, carefully sited to maximize the experience of their natural setting. Our 45 acres of gently rolling meadows and woods is shared by all residents, hence our name, Commonland. Residents also share access to on-site laundry facilities and to the community clubhouse. Six Mile Creek Natural Area is, literally, our back yard. Part of the City of Ithaca’s watershed as well as a wildflower preserve, the area abounds in walking trails. It is closed to visitors. 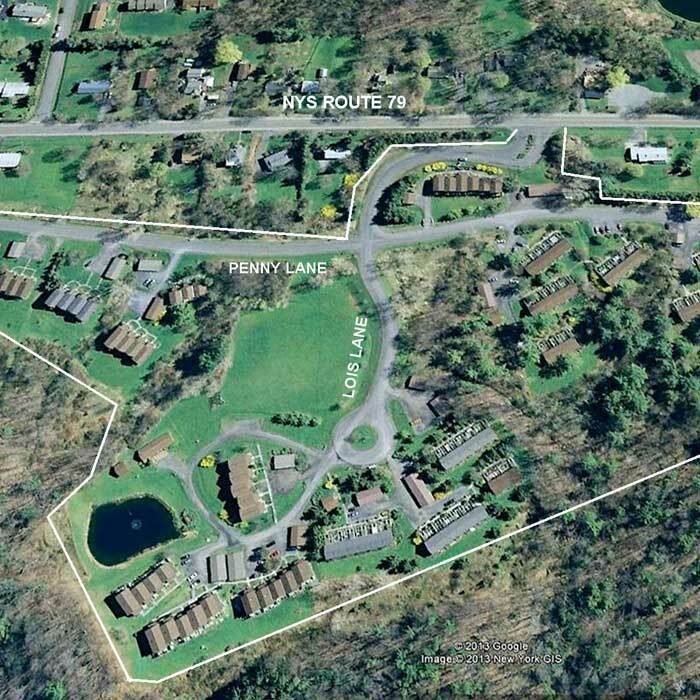 Commonland is convenient to downtown Ithaca (2 miles), Cornell University and Ithaca College (about 3 miles), and the parks and marina at the south end of Cayuga Lake (about 4 miles). Tompkins County Area Transit (TCAT) maintains a bus stop at the entrance to Commonland, with hourly buses from 6 a.m. to 6 p.m. weekdays and a supplementary schedule on weekends. If you like the idea of owning a residence in a community setting, with the convenience of managed maintenance of both grounds and building exteriors, then this could be your nerw home. Commonland Community comprises 99 residences, 72 carports, 4 on-site laundry centers, a community building for meetings and for residents’ private events, and a pond. Commonland Community is governed by Commonland Community Residents’ Association, Inc., a not-for-profit organization under New York State law. Each neighborhood is represented democratically on its Board of Directors. The purposes of CCRA are to promote the health, safety, and welfare of Commonland Community residents and to oversee the upkeep of the buildings and grounds that constitute Commonland’s real estate through its power to regulate activities within the community. Every owner of a unit in Commonland Community is a member of the Association and, as such, is subject to the rules and by-laws of the Association. CCRA decisions are made by the Association’s Board of Directors and its committees. The members of those bodies are fellow residents, serving voluntarily and guided by the advice and expertise of our professional manager. Our monthly fee covers lawn care, snow removal, trash recycling and removal, water and sewage expenses, and the maintenance mentioned earlier—as well as insurance and utilities costs for those buildings held in common and a manager’s salary.